As part of the Plus Paid Plan , you can link the databases of remote facilities together to offer seamless member checkin to your users! A video summary of the multiple location features of Rock Gym Pro is available. Please note: RGP needs a minimum of THREE WEEKS NOTICE to set up your multigym environment. Please have a look at our Multigym Customer Checklist. Seamless member check-in across all your facilities. Any of your members can walk into any location and swipe their card or be looked up and checked in. Staff members have access to editing the customer record of a customer in any location. Staff member PINs are automatically synchronized across all locations. Member access can be setup as “home gym only” or “all locations” – allowing you to sell differential membership packages. Rock Gym Pro will gracefully handle network failures should a remote location temporarily become inaccessible due to a network outage. 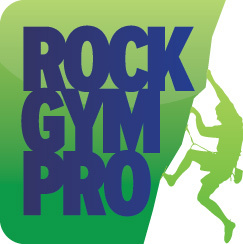 You have multiple facilities, or will be opening a new facility, and each location is running a local copy of Rock Gym Pro on a server. Your databases must share the same master key. Your membership check-in cards numbers are unique across all your facilities. A VPN (Virtual Private Network) must exist between your locations. If you're interested in learning more details about the RGP multigym functionality, please use the contact form.